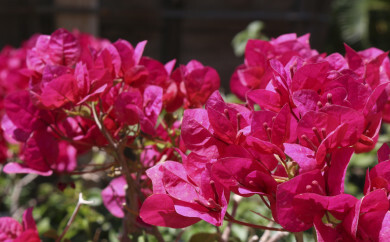 Pala Mesa Nursery stocks dozens of varieties of tropical plants well suited for Southern California. Our staff is here to help you choose which tropical plants will compliment your yard or indoor living area. We carry unique and hard to find tropicals that are sure to standout. 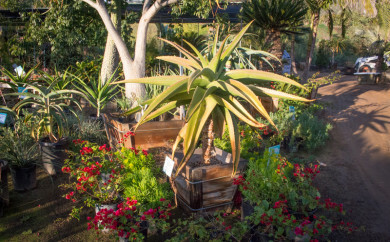 From large Yucca rostrata and aloe bainesii to dozens of varieties of cacti, Pala Mesa Nursery has one of the largest inventories around to choose from. Take advantage of these beautiful and water saving trees and plants! We offer over 25 specimens of palm trees, 50 different tropical plants, and 30 unique succulents. Some of our most popular sellers include Chinese Windmill Palms (Trachycarpus fortunei), Mexican Blue Fan Palms (Brahea armata clara), and Queen Palms (Arecatrum romanzoffianum). 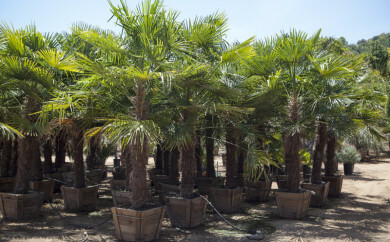 We've been in the wholesale palm tree business for over 20 years and opened Pala Mesa Nursery three years ago when we outgrew our existing location. This new location offered us the opportunity to sell directly to the public at wholesale prices. Once word got around, our business grew again and we opened a second area across the parking lot from our first location. We've been in business for over 20 years and can help create a landscape you'll love for years to come. Whether you're looking for a tropical paradise or just a few plants to spruce up your yard, we've got just what you need and can outline a plan tailored just for you. We were referred to you guys by some friends of ours and couldn't be happier that we headed out there this weekend. Patty was more than helpful when it came to complementing the existing plants in our yard. We added two windmill palms to an area we couldn't figure out what to put and they're perfect! We'll be back to start working on the front yard. Can't thank Pala Mesa Nursery enough for their outstanding guidance in helping me choose the perfect setup for my yard. They recommended a couple of different layouts and weren't pushy at all. Everyone who comes over always wants to talk about our yard. Thanks!